What’s for breakfast is a difficult question for those who have diabetes. As this is the starter meal of the day and may throw of their blood sugar for the entire day which is very dangerous. 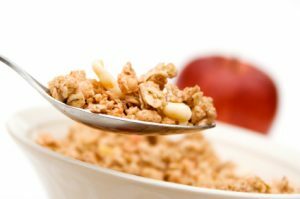 Cold cereals for diabetics are hard to find and are the main course for those who have diabetes. Diabetes, also known to many as hyperglycemia, is where the body produces too little insulin which results in high blood glucose (sugar). The insulin is the chemical that changes the glucose in the blood into fuel that the body can use. If there is not enough the glucose soars and can cause permanent damage. Cereals, donuts, breakfast bars, and fruit all have vast amounts of sugars that may do this. So is there a breakfast food that is suitable for diabetics? To be able to figure out what cereals for diabetics are right for you, you must be able to look at the nutritional facts to know which types are better for you. First you should look at the amount of carbohydrates in the cereal per serving. This can be broken down into three major sections carbohydrates, sugar, and dietary fiber. The diabetic should look for cereals with high dietary fiber and low sugar. Bran and whole grain cereals are best advised. While items like cheerios contain honey that increases the sugar level. You should also check serving sizes as they might be too small and leave you hungry. Also stay away from those that contain fruit. Diabetics are also encouraged to eat a late night snack to help with morning sugar levels. These are some of the foods for diabetics in the morning. Also talk to your doctor about food solutions for breakfast, as your doctor may advise some cereals for diabetics.